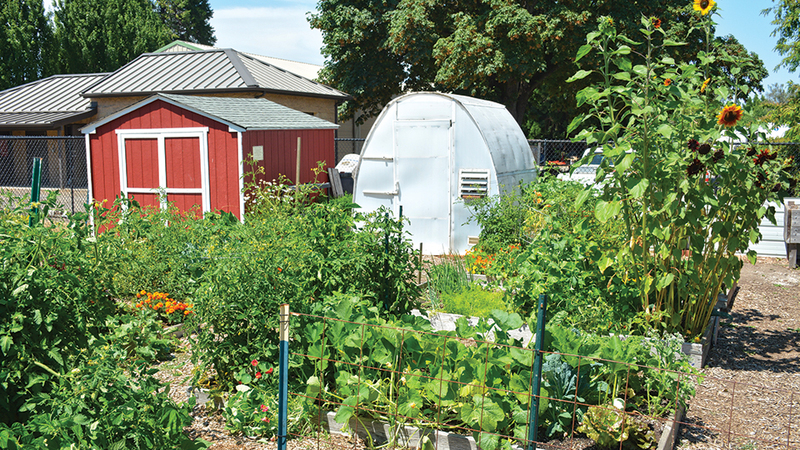 The coordinators behind Keizer’s Rickman Community Garden are looking to make it even more self-sufficient. Earlier this spring, Peggy Moore took to social media to ask for donations of flower starts and pots to add to the garden, then she decided to get bold. “I put a request up asking for a greenhouse and, within a few days, I had two offers,” Moore said. Now, Peggy and her husband, Jerry, are looking to take the greenhouse solar. Last week, the couple received $1,270 in matching grant funds from the Keizer Parks Advisory Board to make it happen, but Peggy said the group is still about $1,000 short of making it happen. The total cost to install six solar panels on an adjacent shed to fuel the greenhouse is about $2,500. Jerry said a bid he received to purchase and install the equipment came within $150 of what it would cost to buy the materials alone at a local hardware store. Peggy already has a number of plans for how a solar-powered greenhouse would transform what the garden already does. “The plants we get from the Marion-Polk Food Share are leftovers from the big box stores and they aren’t always in the best shape or we don’t get the varieties we want,” she said. Being able to raise anything gardeners desire from seed will expand the possibilities exponentially. With enough lead time, she would even like to see the garden host a giveaway of vegetable and flower starts to home-based gardeners each year. The garden currently has 17 plots and all are currently in use by members, but several of the plots serve large families. Peggy estimated that there are between 80 and 100 people who eat directly from the Rickman garden’s produce, but surplus goes to local organizations like Simonka Place, a women’s shelter, on River Road North.